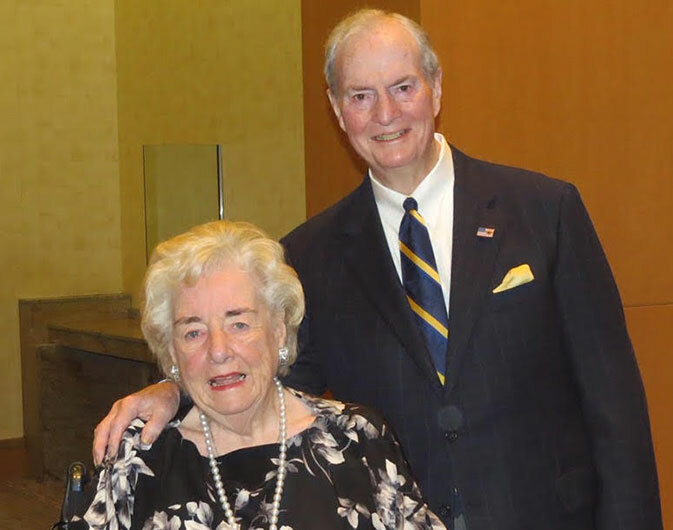 Jack McGraw is responsible for the conception and growth of the McGraw Group of Affiliated Companies, but behind every great man, there is an even greater woman. 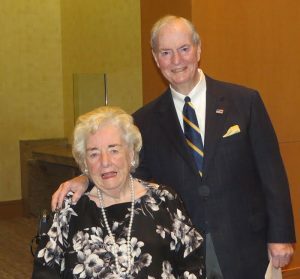 Jack credits his wife Joan with being the backbone that strengthened the foundation of the business. Joan worked as secretary treasurer of the corporation for 20 years. When asked about Joan, Jack’s serious façade always gives way as it becomes clear he does not mind bragging about his wife of 58 years. Joan paved the way for other women to step into leadership roles at the company, such as Kara Holzwarth, General Counsel and overall executive leader at the company. Kara is someone who leads by example and her passion for making sure all elements of the company are aligned is contagious. In our year end note, CEO Mike McGraw discussed updating the company’s core values into four pillars that will be the basis of business for 2019 and beyond. Kara was actually the brains behind creating this revised mission statement and used her experience at the company and the values displayed at Pacific Specialty day in and day out to construct these new principles. Family – We support and respect each other, we are a family. Home – We are your home away from home and will be there when you need us most. Profitability – We emphasize measured strategic growth with ultimate financial impact. Trust – We evoke a sense of trust within our corporate walls and to the outside world. Kara continues to be a consistent and reliable example of how to embody all of the necessary leadership qualities to be both a resource and a role model internally and externally. Alongside Kara is Monica Villalobos, a Regional Sales Manager for Pacific Specialty. She has been a fixture on our Sales Team and a valued member of our family for close to 5 years, with over 8 years of insurance industry expertise. Claudia Gonzales has also made a huge impact in the Underwriting Department as an overseer and manager. Quality Control Manager Kathleen Berg has been a driving force behind many projects and an essential part of making sure that customers are receiving the highest standard of care and commitment from Pacific Specialty. Nikki Randall and Diana Garcia are both Concierge Department Representatives that have implemented training plans to directly impact the next generation of Pacific Specialty, tailoring it to drive positive results. And Susan Tarney is truly the heart that keeps pumping behind the scenes. As the Human Resources Manager, Susan ensures company morale is made a priority and that Pacific Specialty continues to hire the caliber of individuals that allow this company to run. These are merely a few of the wonderfully talented and hard-working female leaders who make up the core of this company. They are all such integral parts of Pacific Specialty and are appreciated by everyone, from their coworkers to our customers. We thank all of the women who have worked at Pacific Specialty. Without you, we wouldn’t be us!